Brooks Brothers is the oldest men's clothier in the United States. 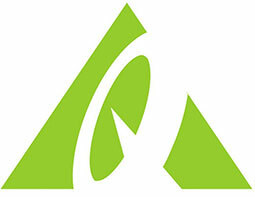 Its product range comprises of items for men, women and children. Now it also offers footwear and men's fashion accessories. It is known for the innovation it has brought in men's formal shirts and introduced items such as wash and wear shirts. Get 40% off Supima Cotton Polos. Valid on select Items for a limited time only. Register for a Brooks Brothers Account & Get $10 Off Your First Purchase of $50 or More. Offer valid for one-time use within 30 days of registering. Order total must exceed $50 before alterations, monogramming, tax & shipping costs. Limited time offer. Get up to 40% off The perfect workwear choices including Men’s suits. Valid on select items. Winter Sale! Get up to 40% off Casual pants like best-selling advantage chinos, finely crafted denim and more. 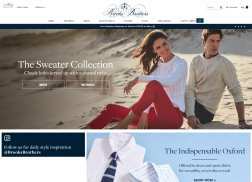 Get $10 Off $50 or more with new Brooks Brothers account. Valid once per user. Get up to 50% Off Select Women’s Dresses. Get 60% off Women’s Apparel. Select items. Get up to 50% Off Select Seasonal Favorites including sweaters. Summer Clearance! Get Up to 50% Off Select spring & Summer styles. Valid on select items for a limited time only. Online Only! Get Free Standard Shipping On Orders $250 or more. Get up to 40% off Sport Coats & Suits. Valid on select Orders. Get an extra 15% off Your First Month’s Purchases when you open a Brooks Brothers Platinum Mastercard + Up to 6 Points per dollar spent + 1 Point per dollar on purchases outside of Brook Brothers + $10 Reward for every 1000 points you accrue + $20 Birthday Reward each year + Free Return Shipping in the US. One transaction on Platinum Mastercard, in the previous 12 months is required. Get Up to 70% Off Polos, T-shirt and More. Classic style Meets Modern Innovation! Get up to 50% off select suits. Big Event! Semi-Annual Sale! Get Up to 40% Off Casual Pants + Additional 15% Off your entire Purchase including Full Price & Sale Items. Additional 15% is valid 12/31/18 1/1/19 online.